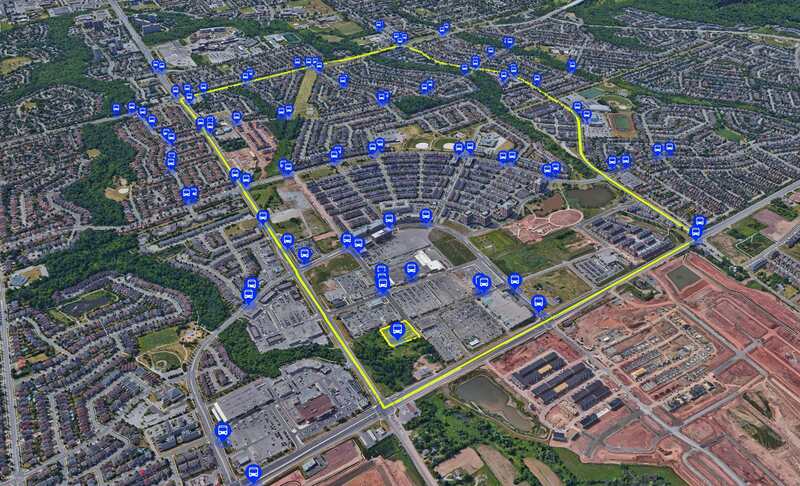 As part of my work on the Visualizing Density Project in 5 GGH Communities at the Canadian Urban Institute, the following maps were created using Google Earth Pro. The goal of the pilot project was to visualize what the built-form looks like in relation to density targets set out in the Provincial Growth Plan. Beyond simply calculating density in each of the communities, maps and graphics were created for 5 GGH communities with the intention to help planners, designers, elected officials, residents’ groups, and private sector builders look beyond buildings, and consider the attributes that work with density to make complete communities. Open Data portals for each of the 5 communities were explored for data providing the location of schools, daycare and community centres and municipal parks. 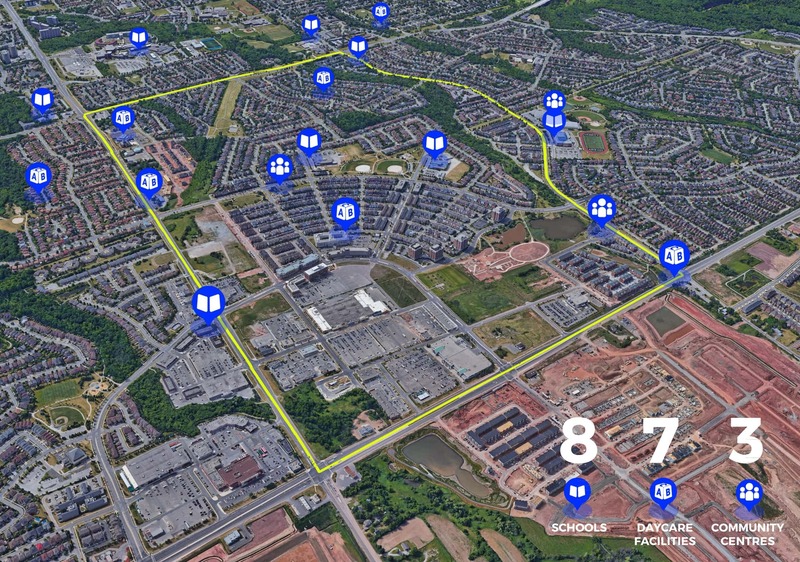 In the absence of relevant data, Google Earth location search was used to identify amenities within 400m radius of the community boundary, and municipal parks and commercial space within the community boundary. General Transit Feed Specification (GTFS) data were available on municipalities’ Open Data Portals for all 5 communities. The GTFS data contains the location of transit stops that can be mapped in a GIS. 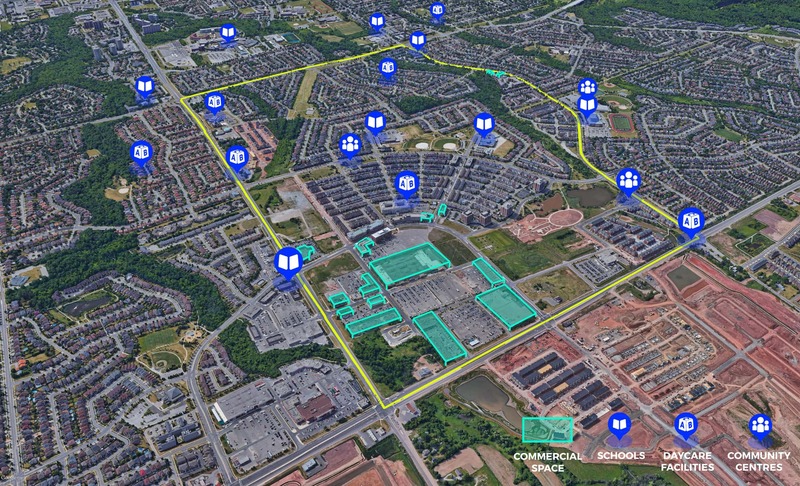 Below are maps created for the Uptown Core community in Oakville, a larger neighbourhood that extends south of Dundas Street and is designated as a growth area by the City of Oakville.